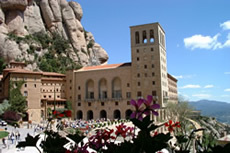 Montserrat is one of the most popular and unique treasures that Catalonia has to offer. 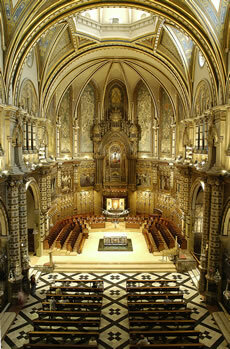 First and foremost a sanctaury, Montserrat is of religious and historical significance. Once the place of a religious sighting, it has now come to symbolise one of the most important sites for religious pilgrimage in the world. The Monastery's unique location at the very heart of Montserrat Mountain also ensures that is is an ideal location for nature lovers - the geology, flora and fauna of the natural park mean that you can while away hours on the many walks that begin at the Monastery. With over two million visitors each year, Montserrat has adapted to cater to the needs of large groups of tourists. Alongside the monastery and basilica there are two museums, a selection of shops and eateries and guided tour services around the area. The main body of Montserrat Monastery has been well adapted to ensure that it is manageable to get around if you are a limited mobility traveller. There are also convenient links to the remote Monastery by car, train, rack railway and cable car. Whether you are young or old, religious or academic, you will find something of interest at Montserrat. Some people come for the famous choir who sing in the basilica every day, others come for the walks around Montserrat Mountain. Some people are on pilgrimages to see the Black Madonna statue whilst others are interested in the impressive architecture of the monastery buildings. Whatever your reason for coming to Montserrat, chances are, you will leave with some unforgettable memories. At Montserrat Tourist Guide we pride ourselves on offering the most precise, detailed and comprehensive information possible. Throughout the guide you will find practical information on all areas of life and tourism at Montserrat and in its surrounding area. We will do the practical work so that you don't have to - we have researched all of the necessary elements of organising a trip to Montserrat so that you don't have to. The information that provided in the guide (including times, prices and addresses) is checked on a regular basis, so there is no need to worry about facts being out of date. 1. Take a look at the blue navigation bar on the left hand side of this page. You will see that the pages have been split by topic. Click on the topic area that you are looking for and this will bring you to the section that you need. 2. If you are in search of a more specific topic you can use the search bar on the top right hand corner of each page. 3. At the bottom of each page you will find a section called 'Related Pages'. It is worth having a look at the pages on offer here as they might provide you with further information that you are looking for. Thank you for using our site and we hope that you find that it helps in planning your trip to Montserrat.